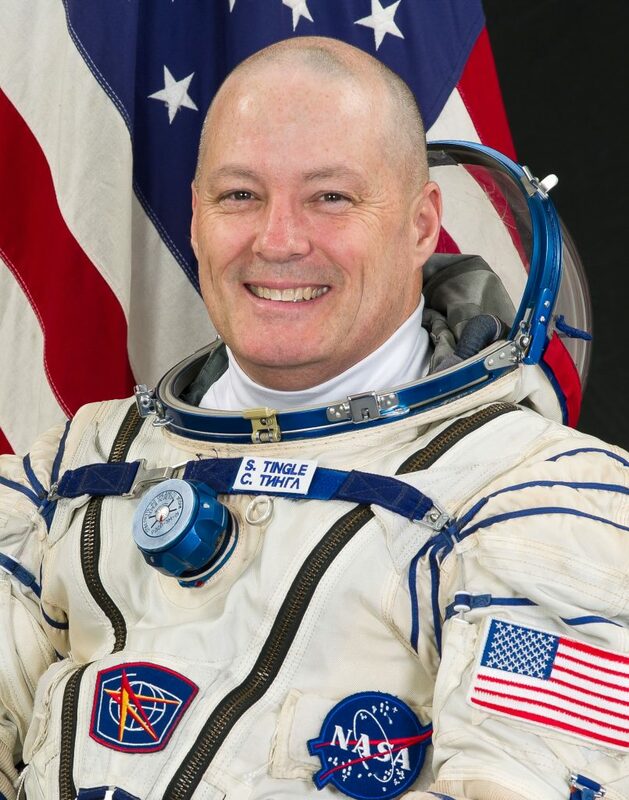 Scott David Tingle, born July 19, 1965 in Attleboro, Massachusetts, is a Commander in the U.S. Navy and a NASA Astronaut selected in 2009, set for his first space flight in late 2017 when he will embark on a six-month mission to the International Space Station as part of Expedition 54/55. Tingle considers Randolph, Massachusetts his hometown and attended Blue Hills Regional Vocational Technical High School in Canton from which he graduated in 1983. He received a Bachelor of Science in Mechanical Engineering from Southeastern Massachusetts University in 1987 and went on to earn a Master’s degree in Mechanical Engineering from Purdue University in 1988 with a specialty in fluid mechanics and propulsion. After graduate school, Tingle worked three years at the Aerospace Corporation based in El Segundo, California as a member of technical staff in the Propulsion Department. He was commissioned as a naval officer in 1991 and became a Navy pilot in 203 after completing flight training. As a Navy Pilot, Tingle began flying with the Blue Diamonds of VFA-146 based in Leemore, California before deploying to the Western Pacific and North Arabian Gulf with the USS Nimitz. Tingle graduated from the Navy Test Pilot School in 1998 and served as a test pilot on the FA-18E/F Super Hornet fighter jet. He then joined Carrier Air Wing Eleven aboard the USS Carl Vinson which was among the first responders to the September 11, 2001 attacks and deployed for Operation Enduring Freedom to Afghanistan. Tingle completed a tour as assistant operations officer with the Strike Fighter Wing in the Pacific and worked as safety officer, maintenance officer and operations officer while flying the FA-18A with VFA-97. A re-joined Carrier Wing 11 for a deployment to the Western Pacific and North Arabian Gulf and also served on a tour to Japan with Marine Air Group 12 before returning to the U.S. as Ship Suitability Department Head and test pilot of VX-23 based in Maryland for testing of the FA-18C, FA-18E/F and EA-18G aircraft and aircraft carrier precision landing systems. Over his military career, Tingle accumulated over 4,500 flight hours on 51 different types of aircraft, completing 750 carrier landings and 54 combat missions. 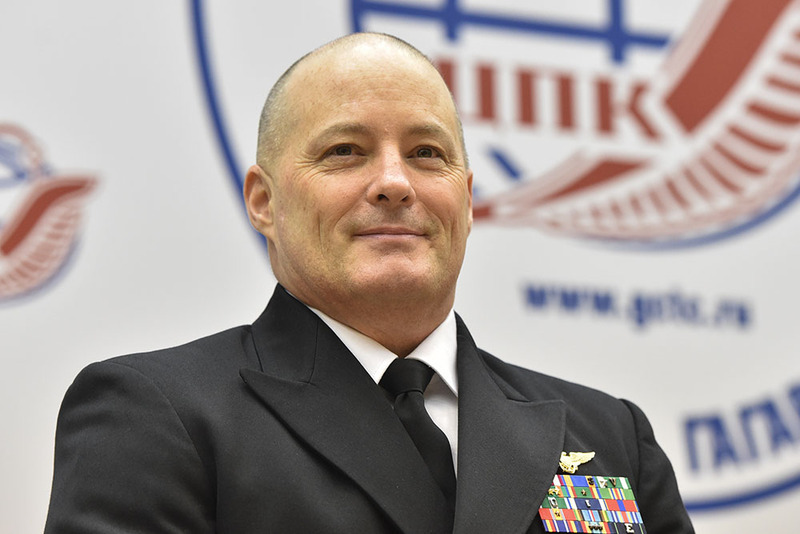 At the time of his selection as Astronaut Candidate in 2009, Tingle was serving as the assistant program manager and systems engineering for the Standoff Land Attack Missile and Harpoon weapon systems. Selected as part of NASA’s 20th Astronaut Group, Captain Tingle reported to the Johnson Space Center in July 2009. He completed two years of basic training and evaluations, being familiarized with spaceflight procedures and technological matters. 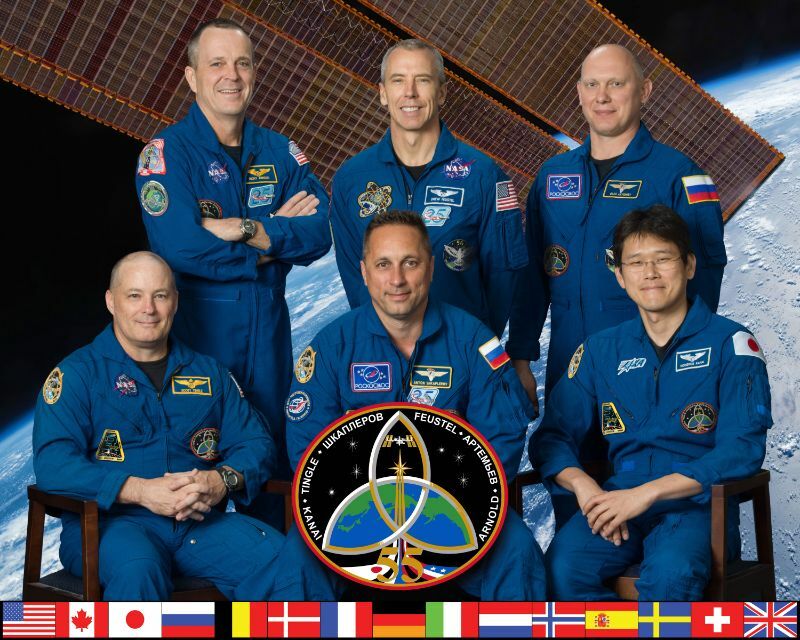 Qualified as an Astronaut in 2011, Tingle entered specialized training operations under the framework of the International Space Station and Soyuz programs, supporting the Space Station Integration and Exploration branches of the Astronaut Office. Tingle received his first flight assignment in early 2016 as a Flight Engineer on Soyuz MS-06 and ISS Expedition 53/54. In February 2016, Scott Tingle together with Russian Cosmonaut Ivan Wagner and training instructor Alexandra Tyurina completed training at the Gagarin Cosmonaut Training Center for emergency landing scenarios in harsh winter conditions. 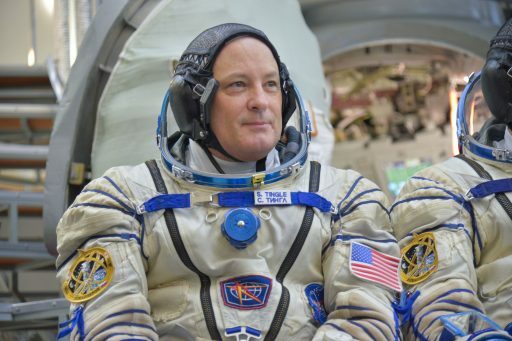 Scott Tingle was initially assigned to the Soyuz MS-06 crew under commander Aleksandr Skvortsov and with Flight Engineer Ivan Wagner. They completed water survival training near Moscow in June 2016. 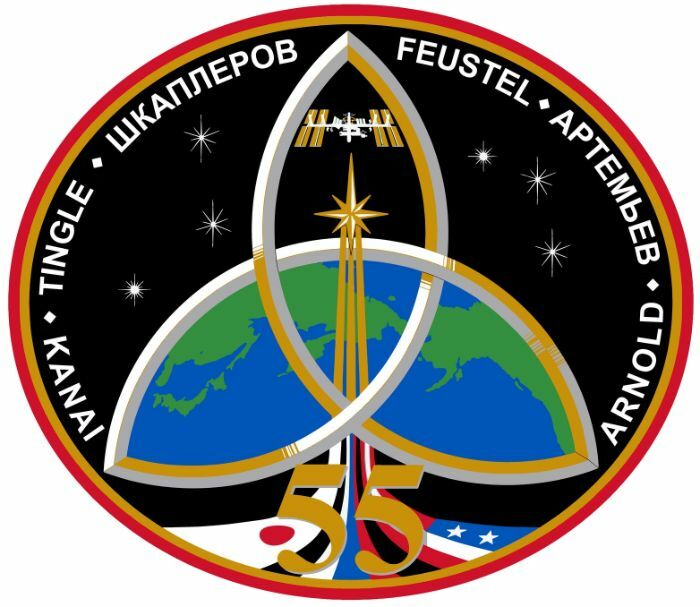 Skvortsov was removed from the crew due to medical reasons and more crew shuffles occurred in late 2016 due to Russia’s decision to cut its permanent ISS crew to two members. These changes shifted Scott Tingle to the Soyuz MS-07 mission with commander Anton Shkaplerov and Norishige Kanai. As part of their backup assignment, Shkaplerov, Tingle and Shannon Walker went through Soyuz and ISS exams at the Gagarin Cosmonaut Training Center in August 2017 and traveled to Baikonur for the launch of Soyuz MS-06 in September. 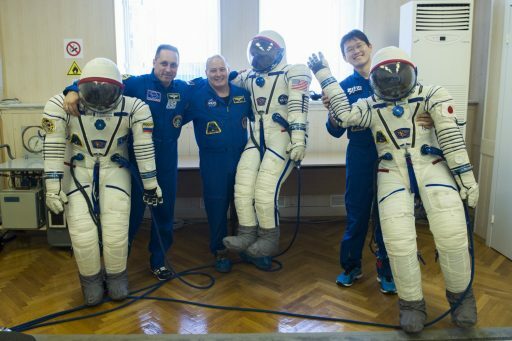 Shkaplerov and Tingle then joined Kanai back in Moscow to undergo exams as a prime crew for a December 2017 liftoff on Soyuz MS-07. Scott Tingle is married to the former Raynette Mahelona of Kailua, Hawaii. They have three children.